Note: The specialty is conducted in Chinese with a prerequisite of a minimum number of 5 students. 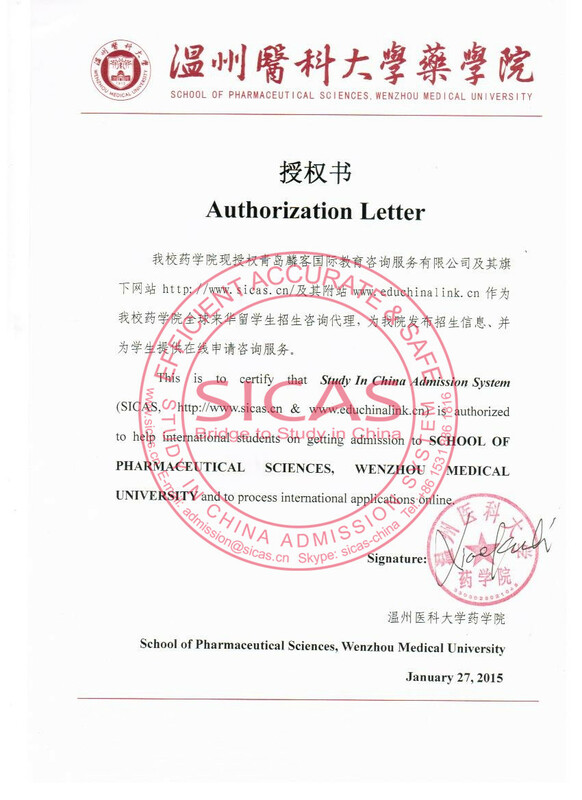 Before applying, pls contact SICAS for the latest information. Wenzhou Medical University owns a center for teaching Chinese as a foreign language, which elaborately designs the curriculum for Chinese language teaching according to different characteristics and demand of students. Meanwhile, on the basis of its teaching advantages, the center also sets up such courses as China in Brief and Cultural Practice, in order to promote Chinese language and Chinese culture. The students who have good performance and pass the exam with distinction in the Chinese language training will be given priority when they apply for the undergraduate programs of Wenzhou Medical University. The aim of this course is to introduce the main aspects of Chinese culture to short-term international students. The teaching contents are designed according to the interests of the students, to give them a general and basic understanding of Chinese society and culture, and to increase their Chinese language learning interests. 2.Use of VCD/DVD for visual impact.